Suit gives a formal and rigorous impression. Many people think that suit is not comfortable to wear. If there is no formal or business occasion, the suit is not the preferred apparel item. 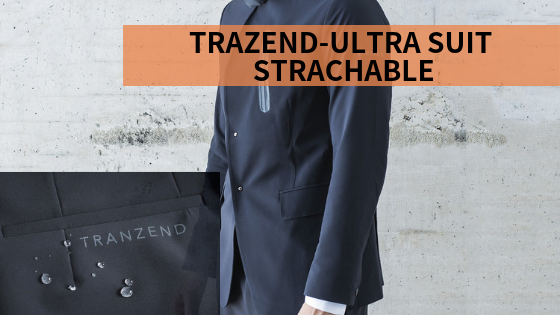 Tranzend Ultra Suit uses functional fabrics from Taiwan which is popular in the sportswear industry. The functional fabric is made from coffee grounds and recycled plastic bottles, it is made into a stretchable, waterproof and UV-resistant green suit that can be worn to work and even heavy rain. Putting the comfort element of leisure sports into the suit, the elastic material does not wrinkle while maintaining the straightness of the suit. Each suit comes with a detachable hat, which makes the suit instantly become a raincoat. Hence, no need to worry about destroying your hairstyle and the shirt inside if you forgot your umbrella on a raining day. Ultra Suit is a suit and raincoat for work, dating, banquet, and even jogging. Suitable for every occasion that may occur in life. This can help to reduce the amount of waste from buying too many clothes to match different occasions.